Around my birthday in particular, the Rockford region also gets to celebrate the annual Illinois Snow Sculpting Competition!I always enjoy driving through Sinnissippi Park and gawking at the incredible works of art that will be disappearing just days later. It amazes me that a group of people can start with a plain block of snow and transform it to be something you would never expect. There are those years when Mother Nature is not on our side and doesn&apos;t give us enough snow this time of year. The Snow Sculpting Competition has been postponed and even cancelled all together before because of it! With the competition being just a week away, it&apos;s a little unnerving that we have no snow. Good think our friends at the Rockford Part District have a trick up their sleeve! 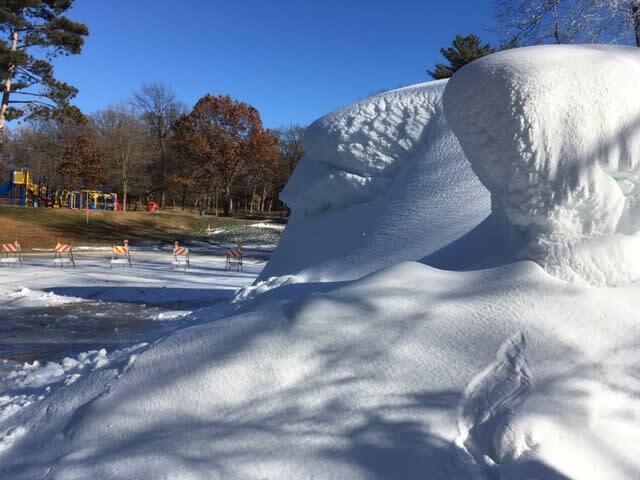 Last weekend, snow was literally being created at Sinnissippi Park! 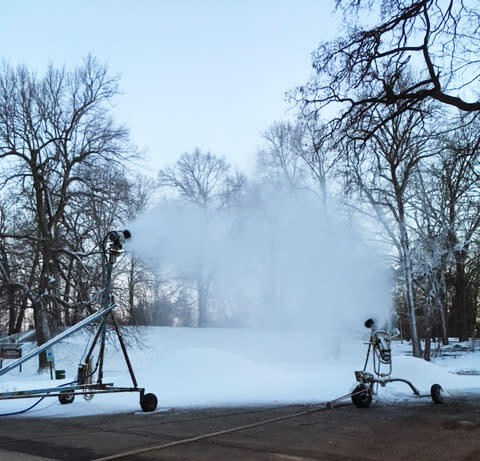 The folks at the Park District used two snowmaking machines and have produced 32,000 cubic feet of snow that will be used to form the blocks to be sculpted! Take that Mother Nature! This year we won&apos;t have to bite our nails and hope we magically have enough snow for the highly-anticipated competition. As long as the temperature is cold enough to keep the snow blocks stable and in tact, the competition will go on this year! The blocks of snow will be in place and ready for sculpting on January 18, and will be done and ready for viewing and judging on January 21. 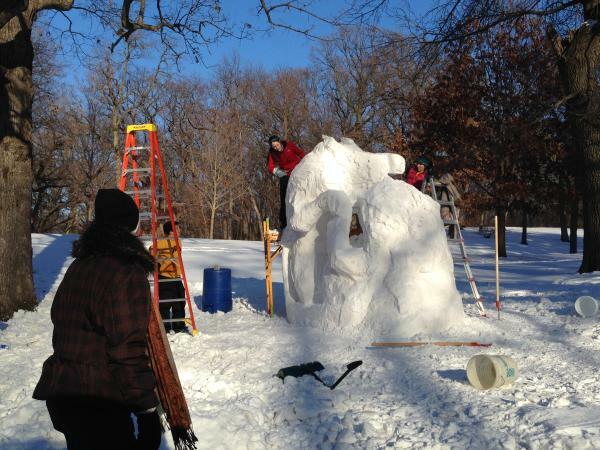 Eleven teams of sculptors from across Illinois will be in Rockford competing to create the best snow sculpture. The winning team will then represent Illinois in the 2018 U.S. Nationals Snow Sculpting Competition! 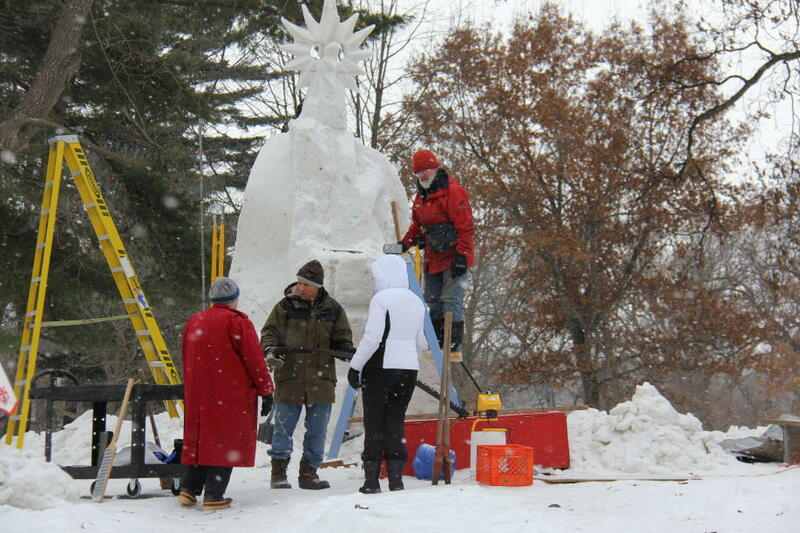 There is also a special section of Sinnissippi Park where local high school teams will also be sculpting their own snow creations. The Snow Sculpting Competition is always one of my favorite things to see in the winter. If you haven&apos;t gone before, I highly encourage you to check it out! Even if you&apos;ve seen it every year since the beginning, it&apos;s always fun to look at the sculptures each year because nothing is the same from one year to the next. Just in the past few years alone, I&apos;ve seen a old fashioned bar scene, a sock monkey, a snake, an astronaut, and even a wizard with a dragon on its shoulder. The possibilities are endless for these artists! 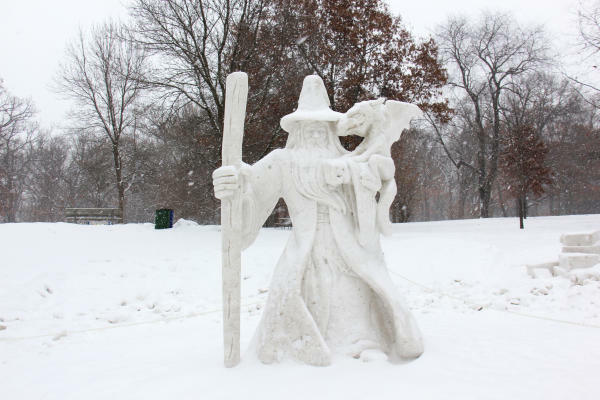 If you want to see the Illinois Snow Sculpting Competition, you can see the artists at work starting Wednesday, January 18 until 10am on Saturday, January 21 when they will be judged. Make a trip to Sinnissippi Park any time after that to see the finished products!...as long as Mother Nature cooperates with the temperature.